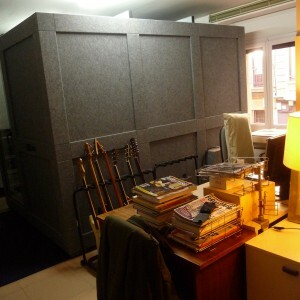 "The Demvox booths are the solution to having a studio at home. 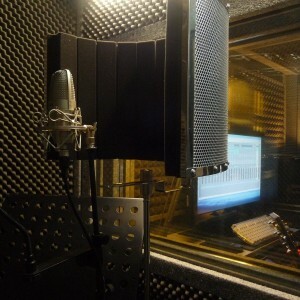 Not only because of the sound that can be generated with a recording from the inside, but also by external noise, which can easily seep into microphones if the insulation is not good. In that respect I could not be happier with the booths. 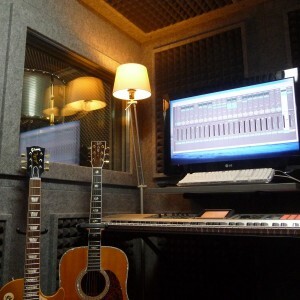 I'm currently using two; one ECO110 for recording vocals, acoustic guitars and percussion and a DV562 for the control room. In the latter, the door is glass, making it much spacier. So when you spend many hours in the studio mixing, it is one more advantage, as it allows natural light without losing soundproofing. To communicate, the windows on both booths are at the same height and the cable outlets for microphones were lined up. 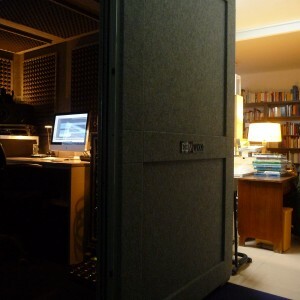 Another question I had was whether the sound in the control room would be correct at the time of mixing. In that respect the outcome is remarkable, everything inside is lined with sound absorbing material and is faithful to what comes out of the mix. From the outside, and with a fairly high volume, just a distant murmur, which could be within earshot of any neighbour, is heard. 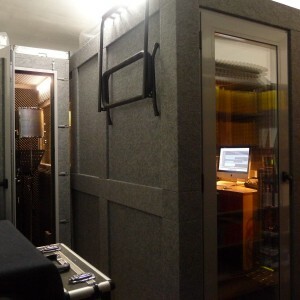 Recording equipment is mounted on two racks of 16 units, making it easy to transport all the equipment quickly. For me, who’s had various studio locations, this was another premise, to be able to move around easily and return to a session without losing the sound that you're already used to after hours of work. If we add the availability of technicians Demvox, to facilitate assembly and disassembly of the booths, the decision to buy Demvox has been proven a wise choice." 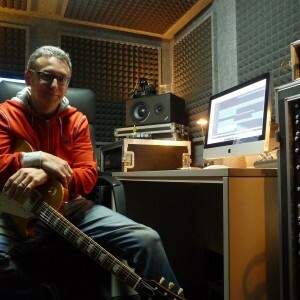 Gabriel Abril is a musician and producer. He has played in groups like Last Resort, Sin Remedio and Overturn. He has recorded three solo albums "The Spell Of Habit" (Nena Records / EMI, 2001), "Five Minutes Before The End Of The World" (Tremolo Recordings, 2006) and "A Lion In The Garage" (Tremolo Recordings, 2008 ). As a musician he has recorded songs for advertising, and toured with The Hotel Cochambre Band with which recorded the DVD "Hotel, Sweet Hotel" based on the work of Joaquin Sabina. He produced The Incredible Shrinking Man, with which he conducts the tour "Shouting". 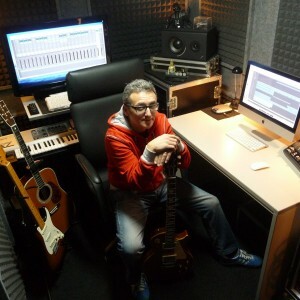 He also co-produced the first album Fireman Montag. 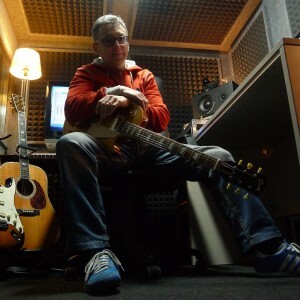 He has recorded guitars and mandolins on the album "When The Devil Sings" (EMI, 2011) Ramoncín. He also acts as a music journalist for the magazine This Is Rock and has written a book containing all the live albums ever recorded in Spain since 1964 until now, published by Millennium.